The Haberman Suckle Feeder is an amazing bottle! 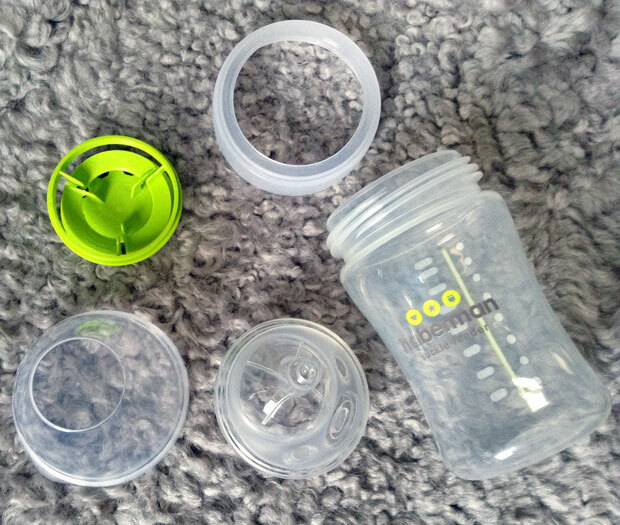 It’s designed to mimic natural feeding so that if you are breastfeeding and want to combine breast and bottle your baby does not need to learn a new way to feed. Of course it works just as well for bottle fed babies! 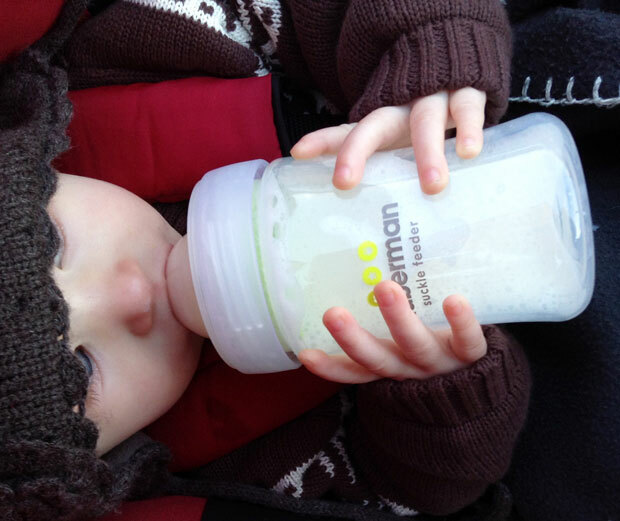 The Suckle Feeder also helps reduce the risk of colic by preventing your baby from swallowing air (from outside and inside the bottle and in the milk). The teat and the valve are so clever. The teat remains full at all angles so that your baby can feed in any position he/she likes. The valve shuts between suckles to give your baby time to breathe and relax between sips and reduces guzzling and overfeeding. Your baby can feed at his/her own pace with the Suckle Feeder. When a baby feeds from the breast, the flow in the beginning and the end of the feed is very slow and the Suckle Feeder mimics this with its variable flow technology. I love that you can use the Suckle Feeder from birth until you are done with bottles. The flow can be adjusted to suit your baby and you can fill the Suckle Feeder more or less depending on your baby’s age, but it is big enough for a full feed for an older baby. 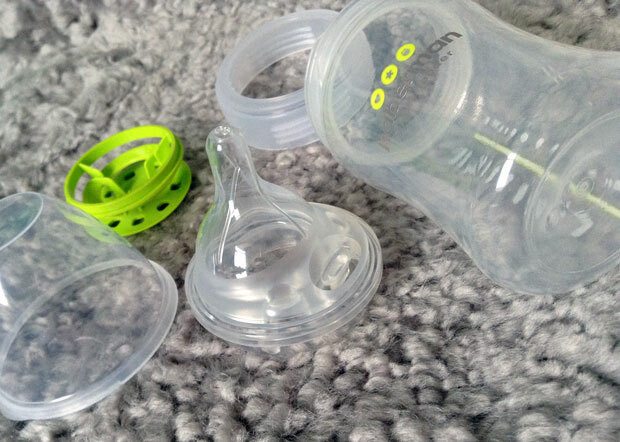 If you get these when your baby is little you will not need to buy any more bottles of different sizes or any other teats with different flows. Suckle Feeders are all you need! In the photo above you can see the shape of the teat. It’s unique and asymmetrical. The button that you can see on it is used to fill the teat if you wish. Just hold the bottle at an angle or upside down and press the button. 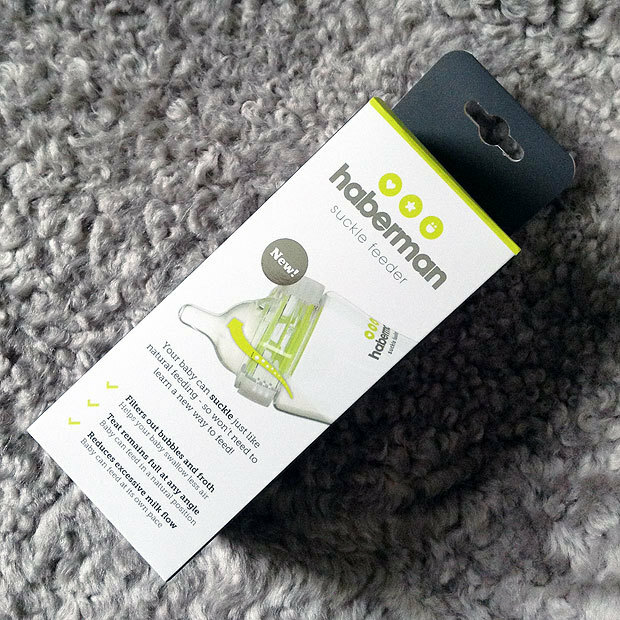 The Haberman Suckle Feeder is not marketed as non-spill but it really should be because it’s completely non-spill. 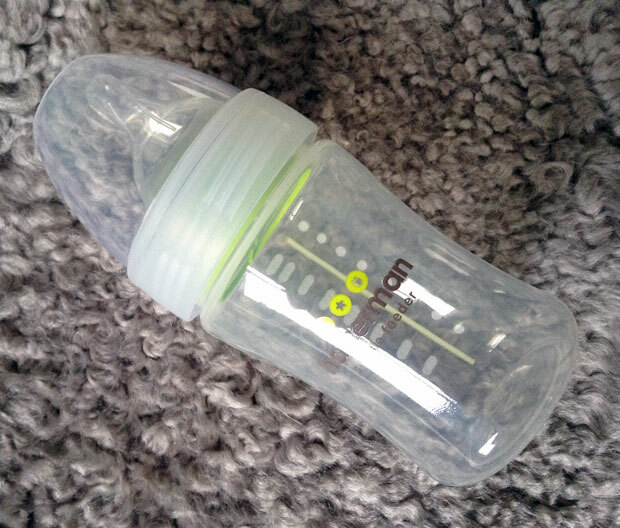 A feature that I love and have missed for bottles for younger babies. Often you can only get non-spill teats for 6+ months teats but the Suckle Feeder is suitable from birth and does not leak, yeay! These are all the parts. Not many, easy to assemble even one-handed and very easy to clean. You might think the teat would be difficult to clean but it really isn’t. I love that the bottle has a really wide neck, because that makes cleaning it very easy. My daughter is known to be picky with bottles, teats and dummies and will not accept any type. Some bottle and dummy brands she has completely refused and we cannot use but this is not the case with the Haberman Suckle Feeder. She accepted it straight away! Wonderful! 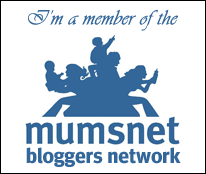 My daughter is used to breastfeeding but has had expressed milk in bottles as well from early on and at 9 months we started combining bottle feeding and breastfeeding to gradually wean her off the breast. The Suckle Feeder must remind her of feeding from the breast. She loves it and seems very comfortable drinking from it and there’s no need for burping her afterwards. This is a quote about the Suckle Feeder from Haberman’s website: “Put simply, it is better than a bottle.” I agree, the Suckle Feeder is better than a bottle. It is so much more and I am so happy to have found a bottle that is so well suited for breastfed babies. I’ve already put this set of 3 Suckle Feeders on my to buy list for when we have our next baby. That’s how much I love the Suckle Feeder! 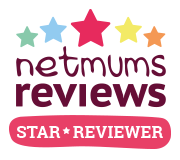 You can buy it from Amazon, Anywayup.com, Mothercare or Boots. I was sent a Suckle Feeder for my review. 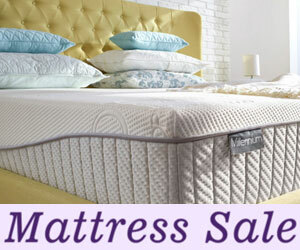 As always, my reviews are 100% honest and all thoughts and opinions are my own. Any one know of any glass bottles that will fit the Haberman suckle feeder?